The legislation, backed by President Nicolas Sarkozy, was surprisingly rejected in a vote earlier this month. 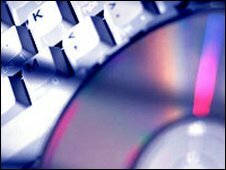 If passed, the bill would set a tough global precedent in cracking down on internet piracy. The music industry has been calling for stricter laws as revenues have fallen. An amended version will go before the Assembly and Senate for debate, where opponents and supporters can add further changes. The new legislation operates under a "three strikes" system. A new state agency would first send illegal file-sharers a warning e-mail, then a letter, and finally cut off their connection for a year if they were caught a third time. It has been backed by both the film and record industries. But some consumer groups have warned that the wrong people might be punished - should hackers hijack their computers' identity, and that the scheme amounted to state surveillance. The socialist parliamentarian Patrick Bloche said the bill was "dangerous, useless, inefficient, and very risky for us citizens." Although the legislation was approved by the Senate, France's upper house, it was defeated in a vote of the National Assembly. Two members of Mr Sarkozy's majority government joined the socialist opposition in voting against the bill, in a protest to an amendment which would have made users who had been banned, continue to pay their internet bills. Mr Sarkozy's ruling party is likely to ensure the Assembly has enough members in session at the vote, after a low turn out of politicians helped derail the bill. When the bill was defeated John Kennedy, chairman of the IFPI, which represents the global music industry, said the result was "disappointing". "President Sarkozy has been a true champion of intellectual property rights and the proposed law is an effective and proportionate way of tackling online copyright infringement and migrating users to the wide variety of legal music services in France."